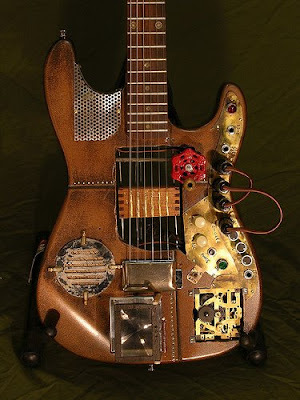 Organum Insolitus made by Mark Dalzell, more photos and info here. 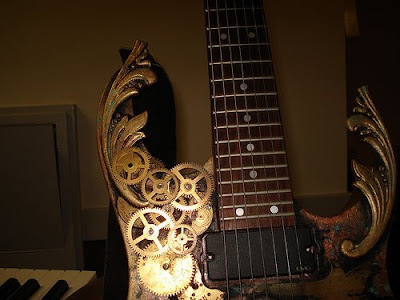 Guitar used by Nathan from Abney Park, photo found on flickr. 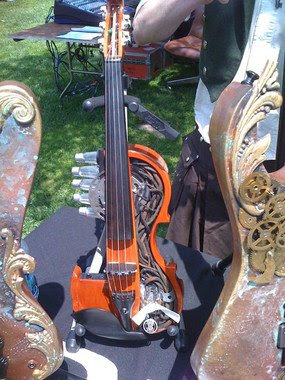 Violin made by Porkshanks for Nathan from Abney Park, found on gizmodo. I just recently found your site and it is so good. Your explanation was very easy too read and understand. 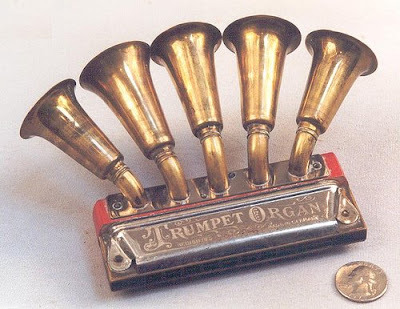 I like organum insolitus musical instrument thanks mark dalzell. O man beautiful work!